Natalie had to tell her teacher how to cook a turkey. Sounds like a great turkey to me. Though maybe a little crunchy. Sounds about right to me (says the woman who doesn't even know where her kitchen is)! Happy Thanksgiving to you and yours. Happy Thanksgiving! Man, I wish Natalie was in charge of my kitchen today. LOL! 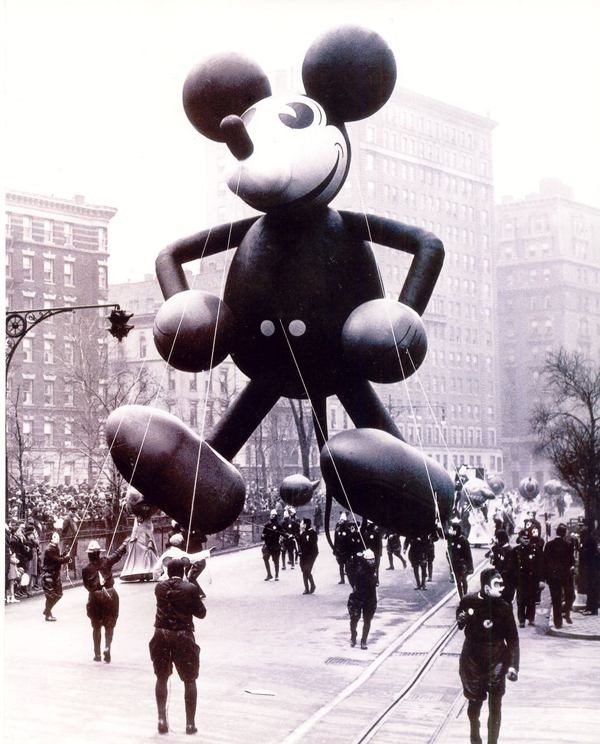 May your sparkled-and-gem-encrusted turke-y appetite be as big as a Macy's Parade balloon! I love it! ViolaMae made up a recipe for pumpkin pie at preschool: flour, sugar, pumpkin, green vegetables. Apparently she likes her turkey on the rare side! But hey, sparkles will disguise the salmonella wonderfully! Happy Thanksgiving! A bedazzler is a terrible thing to waste. THAT is FANTASTIC! I really hope her teacher appreciates it as much as I do! I love that she eats it with pizza. I love Natalie's recipe!! Especially the added sparkles!! 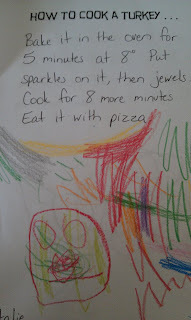 My oldest had to do this when he was in pre-school, his recipe: call the Turkey place and have it made for you. Can you tell I'm a great cook! Hope you had a wonderful holiday!!! Enjoy your holiday weekend!! I'm not sure how it would taste, but it sounds like it would look beautiful! This is terrific. And I love my turkey with a side of pizza -- just like the pilgrims.